Did you know Nieuw Statendam is as long as twelve blue whales? 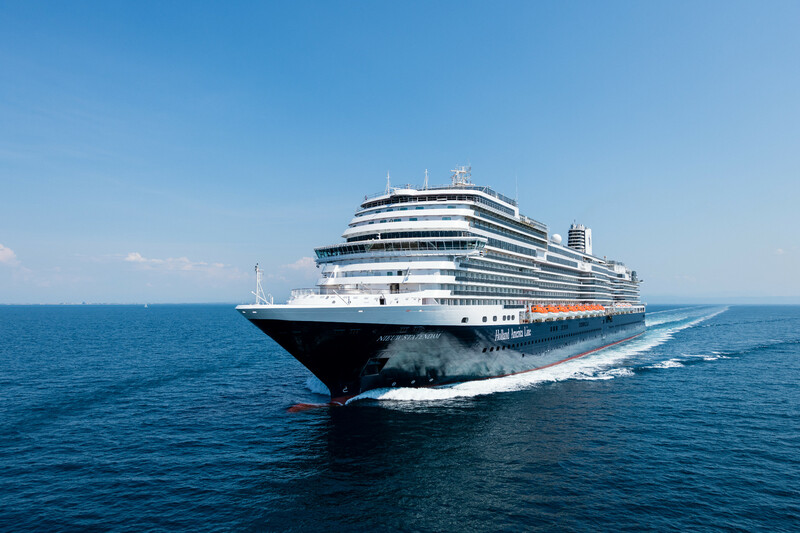 It’s not long now until Nieuw Statendam officially joins the Holland America fleet – just 17 days to be exact! 1. Nieuw Statendam will visit more than 75 ports during her first year in service sailing 92,723 nautical miles. 2. At 975 feet in length, Nieuw Statendam is a long as twelve blue whales. 3. Two hundred pounds of pasta will be prepared at Canaletto during a seven-day cruise. 4. It would take 7,067 standard bottles of Champagne to fill Nieuw Statendam’s Lido Pool. 5. On a weeklong voyage, 9,331 towel animals will be created. 6. In the first year, 42,760 pounds of lobster will be served, and Pinnacle Grill will serve 600 pounds of Double R Ranch Beef during a seven-day cruise. 7. There are 1,920 works of art on board featuring artists’ work from 150 different countries. 8. On a seven-day cruise, 4,200 cups of coffee will be served. 9. In Lido Market on a weeklong cruise, 5,600 freshly made, personalized salads will be prepared at Wild Harvest. 10. On a seven-day cruise, more than 42,000 eggs will be used. 12. Grand Dutch Café will serve 1,250 beers on a seven-day cruise.